OR manually enter the code for a paragraph mark, "^p", twice (e.g., ^p^p)). 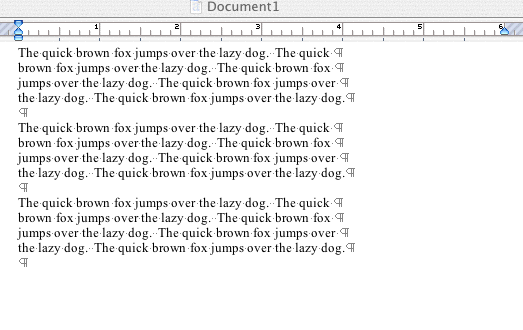 Enter a text string that won't be found in your document (such as qwertyioup) in the Replace with textbox. Click Replace All. Your "paragraphs" will combine, with your text string between them. This is OK. 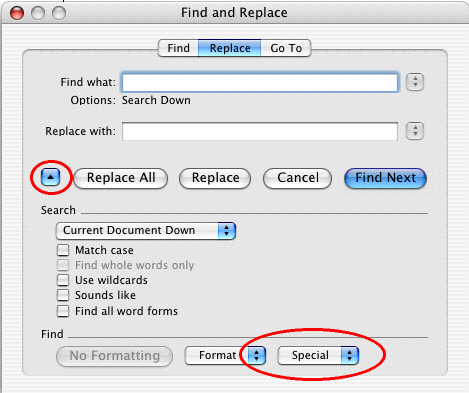 Enter a single paragraph mark (e.g., ^p) in the Replace dialog's Find what textbox. Clear the Replace with textbox. Click Replace All. This removes the remaining paragraph marks. Enter your text string in the Find what textbox. Enter a single paragraph mark in the Replace with textbox. Click Replace All. This inserts paragraph marks between the paragraphs. Close the Replace dialog. Const sREPLACE As String = "!_REPLACE_RETURN_TEXT_!"